​At CDA, we only supply quality inverters from manufacturers with a strong Australian presence and an in-country technical support team. If anything goes wrong with your inverter then we need to have it up and running as soon as possible. Don't buy cheap inverters, they wont last. ​Fronius are an Austrian global Solar Energy and Battery Charging giant who have been manufacturing Inveters since 1992. The Fronius Galvo ranges from 1.5 to 3.1 kW and is especially suited to small households on single phase. The Fronius Primo range are single phase, dual MPPT which range from 3 to 8.2kW. Perfect for the majority of households. 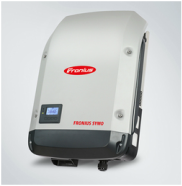 The Fronius Galvo range are 3-phase, 2 MPPT inverters that range from a 3kW to a 20kW inverter. perfect for 3-phase homes or commercial applications. ​SMA are a German, leading global specialist that are purely dedicated to photovoltaic system technology. 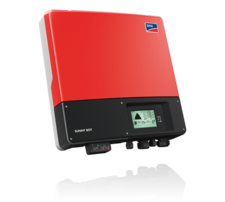 The Sunny Boy range are all single-phase inverters and encompass a portfolio of single and dual MPPT inverters. The Sunny Boy range from 1.5kW to 5kW. The Sunny Tripower range are all 3-phase, dual MPPT and range from 5kW to their 60kW unit for large-scale PV power plants. The range are suited to 3-phase residential and commercial applications. 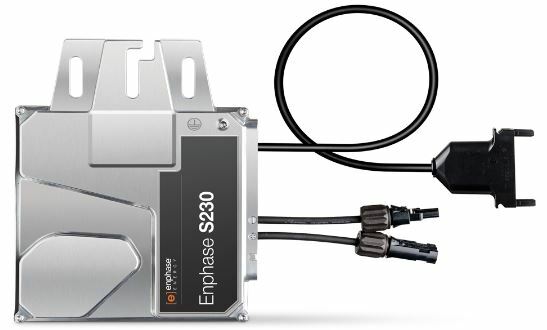 Enphase Microinverters help you get more power from your solar modules. 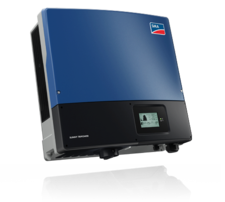 Each microinverter connects to a single solar module so, if there is shading or a problem with another module, the rest of the system keeps running smoothly. Outputs 220-230VA and ideal for pairing to 195-285W modules. Boasts a 96.7% Peak and CEC efficiency. Outputs 260/270VA and ideal for pairing with 230-350W modules. Boasts a 96.9% Peak and CEC efficiency. The envoy is the in-home communications module that easily connects to all of the microinverters and enables web-based monitoring. Small and elegant and can be mounted anywhere in your home.